With fall comes a bounty of fall/winter squash. 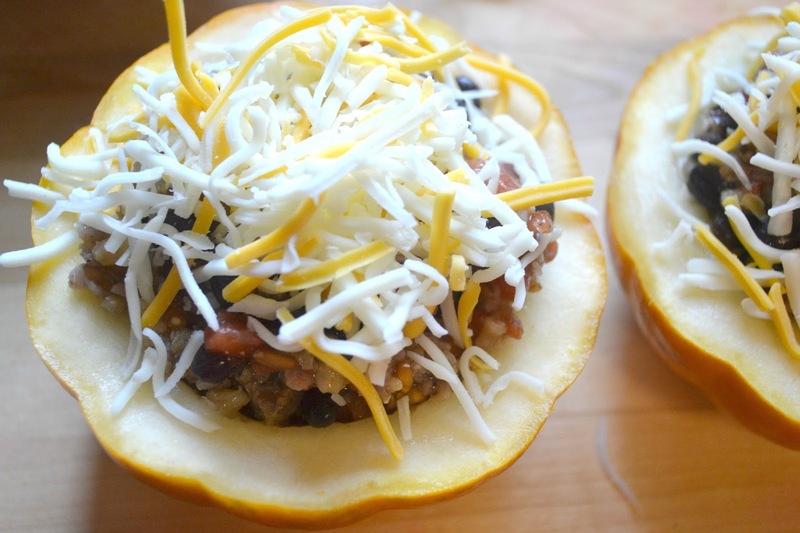 Acorn squash is the star of today's recipe! 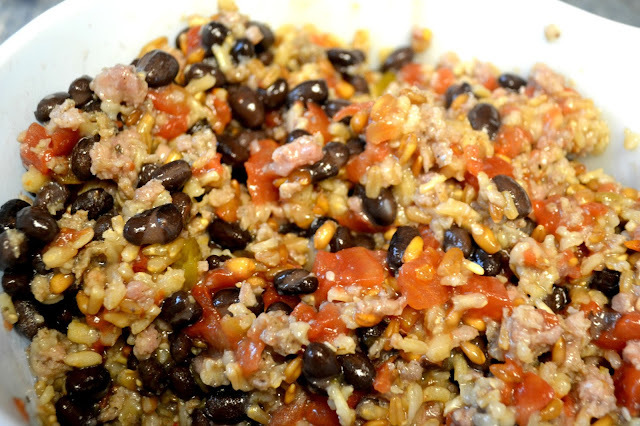 With it's mello flavor, it is the perfect "bowl" to serve a spicy sausage, black beans and 7 grain pilaf! This would make a great vegetarian dish by adding in tvp/soy crumbles in place of the sausage, or just leaving it out all together. 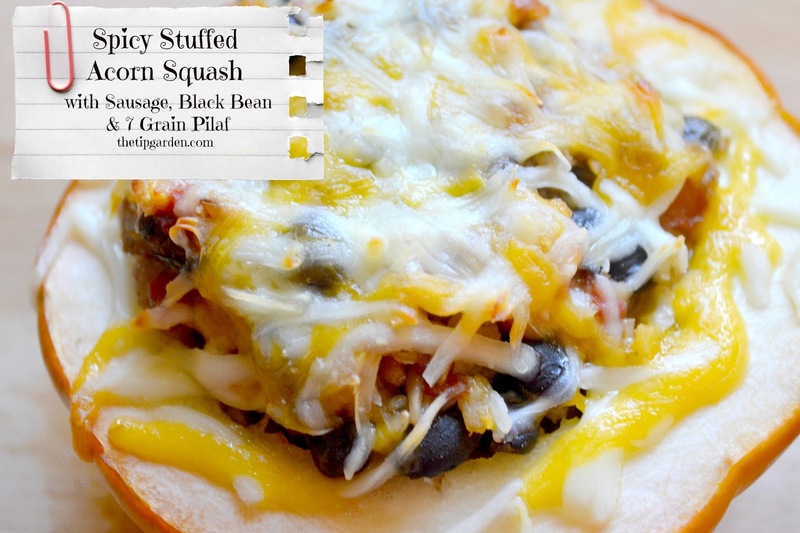 I think I'll try playing with this in the crock pot w/out precooking the squash next time. Anyone have thoughts on this? Cut open acorn squash across the middle so you have them like little "bowls". If "Bowls" don't sit flat, cut a small piece off the bottom so it'll sit flat. 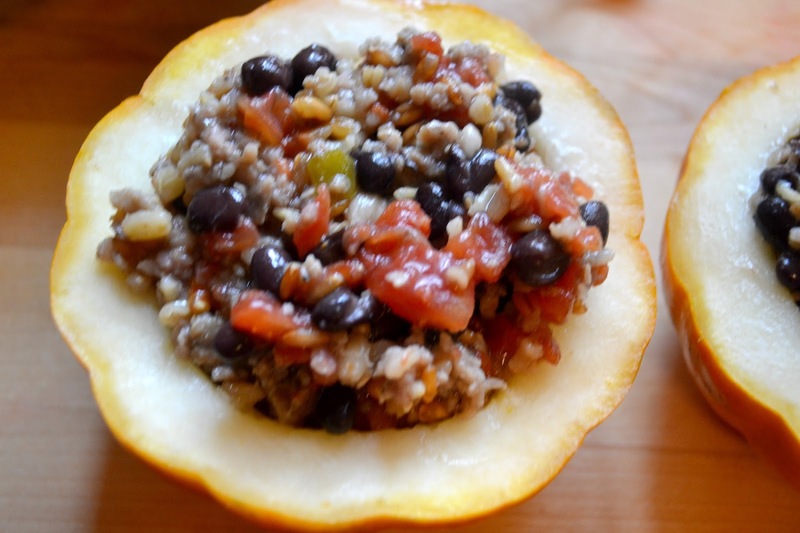 Microwave the acorn squash for approx. 10 minutes. Remove and set aside. 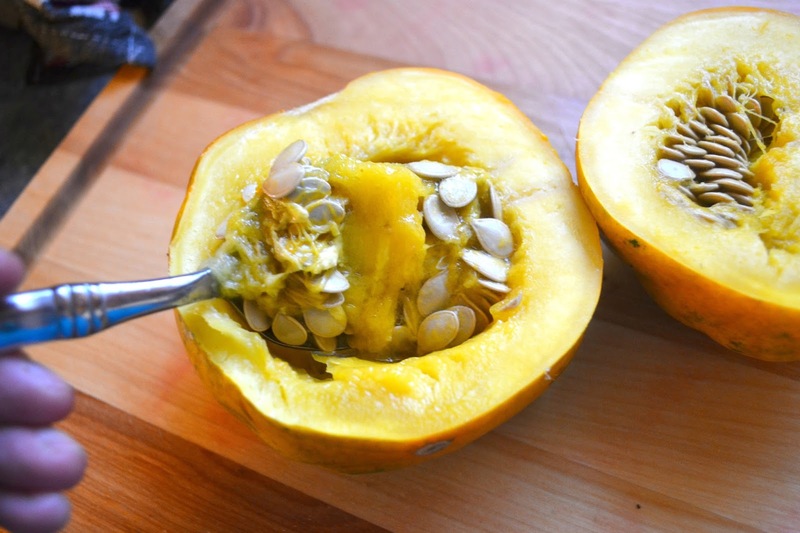 Place acorn squash on baking sheet.